The modern motorized boats seen below sit in contrast to Skull Creek’s ancient history, steeped in ritual and war. 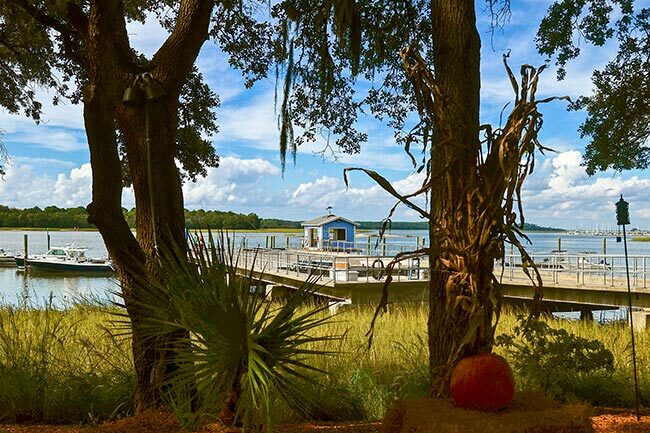 This Hilton Head Island waterway receives water from the Broad River and empties into the Calibogue Sound at the May River. Sometimes spelled Scull Creek, settlements along the branch have seen their share of turmoil in generations past. 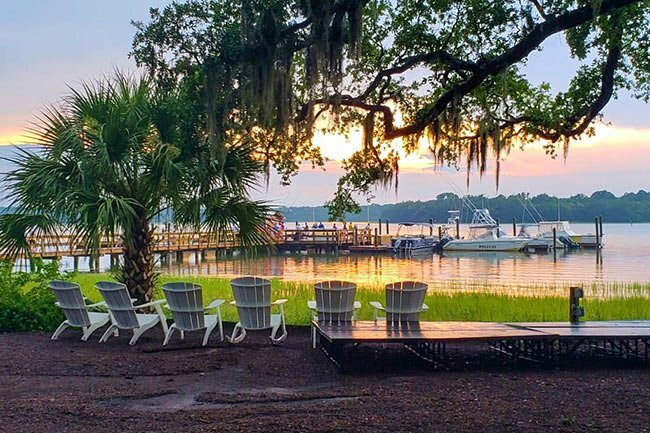 Today, however, waterfront homes, fine dining, and marinas can be found on the creek’s banks, teeming with people enjoying the tidal waters of this Beaufort County treasure. 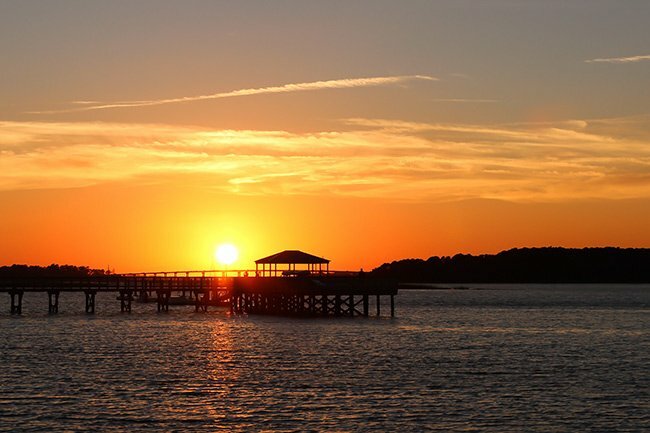 In 1779 when the British navy was making its way towards Beaufort and Charleston during the Revolutionary War, privateers burned several homes that sat along Skull Creek; Hilton Head was mostly inhabited by Patriots. British troops again burned homes along Skull Creek during the War of 1812. 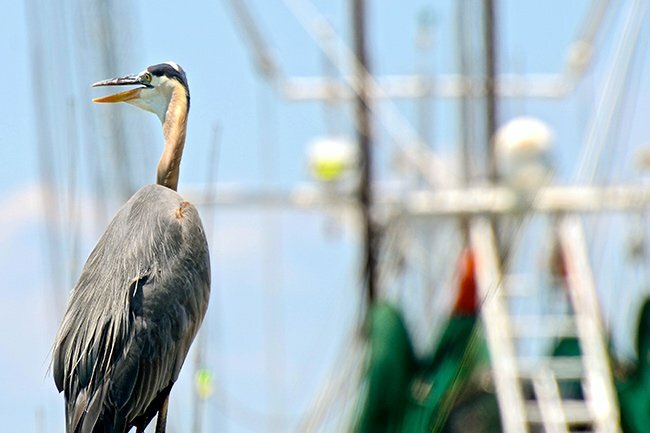 When Federal troops occupied Hilton Head Island during the Civil War in 1861, Union General Ormsby Mitchel established Mitchelville on the island the following year. Mitchelville was a freedmen’s village for former slaves freed by the troops. Fort Mitchel, also named for General Mitchel, was also established in 1862 on Skull Creek to fortify the island against attacks by Confederates. However, the wartime history of the creek is recent news compared to that of its first inhabitants. Sometime early in the second millennium B.C. Native Americans who lived on the banks of the creek created two shell rings. The rings are made primarily of discarded oyster shells mixed other mollusks, animal bones, and pottery shards. The rings indicate that the area’s prehistoric inhabitants were not nomadic and foraged for food. The rings also point to social rituals, though their meaning is unclear. It is illegal to remove anything from a shell mound or shell ring. The Skull Creek shell rings, Nos. 1 and 2, are two of 20 or more prehistoric shell rings located from the central coast of South Carolina to the central coast of Georgia. All are believed to date early in the second millennium BC, and they contain some of the earliest pottery known in North America. The function of the ring shape is unknown, although the rings appear to be carefully planned and systematically deposited structures. As such, they also present one of the earliest records of sedentary life among people who must have lived entirely by foraging. The Skull Creek rings are the only known example of a later ring superimposed over an earlier one, although the precise relationship and reason for building this way have not been determined. The southernmost ring (No. 1), approximately 128 feet in diameter, stands about 7.5 feet at some points above a flat central area, but has suffered extensive removal of shell. Probably only 20 percent of the original volume of this ring remains. This ring contains primarily oyster shell with smaller amounts of other mollusks. The northernmost ring (No. 2), approximately 133 feet in diameter, is nearly plowed level. I am a hobby painter living at the Bayshore on Skull Creek, I do go to the Boathouse and wanted a photo which I found on this website. May I copy the pictures with your permission? Thank you.